BOSS Spotlight Feature: Adriane Massey "Corporate Trainer & Executive Coach"
Adriane founded Strengths Zone, an organization that specializes in Gallup-Certified Strengths Training & Executive Coaching. She leads training nationwide and coaches countless women through career and personal hurdles, using their natural talents. A former hospital VP, she earned a BA from University of North Texas and MA from Stanford University. When I founded Strengths Zone, a business specializing in Gallup-Certified Training and Executive Coaching, I was a newcomer to Atlanta. I moved from the familiar surroundings of Dallas, TX to the ATL. While I enjoyed tons of family ties in Atlanta, I had few business connections. I was an outsider. It was imperative for me to strategically attend networking events. I learned to place myself “under the roof” of people who are my ideal clients. This meant mastering the virtual roof of LinkedIn, attending early morning events, scheduling coffee intros, “never eat alone” lunches and seeking business after hours evening activities. I was inspired to pivot to executive coaching/training/consulting during my time in Leadership Texas. My initial exposure to the science of Strengths took place in Leadership Texas. I was one of 115 women leaders selected from across the state to participate in the longest-running women’s leadership development program in the U.S. In one of our first sessions, we debriefed our results from the StrengthsFinder 2.0 online assessment. I was floored by the accuracy of the report of my Top 5 talents: Achiever | Maximizer | Analytical | Intellection | Deliberative. The insight explained nearly every aspect of my successes and failures. Once exposed to the tool called StrengthsFinder, I strongly felt that everyone ought to know this information about themselves. Everyone ought to specifically know their natural way of thinking, feeling and behaving. Like most women, I had plenty of loving and astute advice over the years, but none succinctly tapped into my natural wiring. I was inspired to help people and companies apply real data, not guesswork, toward their professional and personal development. I prescribe to harmony, more than balance. Simply put, there are times when we will work more than play, and vice versa. Mentors made all the difference in my career launch. 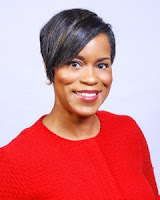 Largely, members of the Dallas-Fort Worth Association of Black Journalists, the local chapter of the National Association of Black Journalists (NABJ) guided me. Their influence, in combination with my parents, extended family and landing a four-year college internship under the INROADS program, set me up for early success. Vision boards – post them! Strong mind, body, spirit – live it! My definition of a BOSS is being a woman who influences others by modeling, motivating, mentoring and multiplying.